Renowned drummer, Bill Bruford analyzes the creative processes of drumming using his own — and other famous musicians’ — expertise and insights. 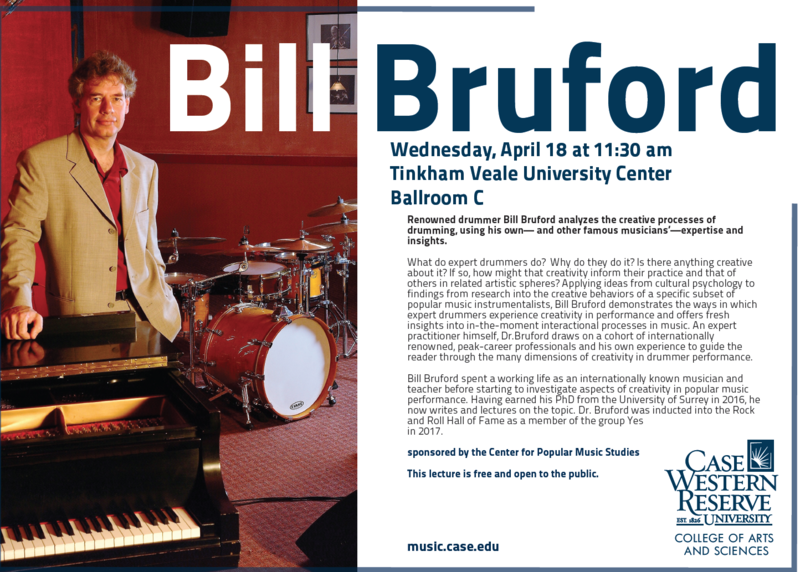 Sponsored by the Center for Popular Music Studies. This lecture is free and open to the public.